There’s no shortage of people who claim they’d pay extra to avoid having to view ads on their favorite site, or anywhere on the Internet. One even took the trouble to suggest how it might work in a recent opinion piece in the New York Times. But as a new survey shows, it’s very unlikely the vast majority of people would be willing to shoulder the real cost of replacing the ad revenues that would be lost–revenues required to keep Facebook, Google, the New York Times, and most other commercial sites running. According to the survey by the Palo Alto-based mobile ad marketing firm AppLovin, two-thirds of respondents aren’t willing to pay any extra at all for the privilege of wiping ads from their iPhones and Androids. The survey, conducted last month, used Google Consumer Surveys to ask 5,000 U.S. residents between 18 and 65 how much extra they’d be willing to pay on top of their phone bill to remove ads. Besides those who wouldn’t pay a dime, some 14.5% said they’d pay an extra $2 a month, but those who would pay $5, $10, $15, or $20 extra each fall into the single digit percentages. For a few months now, Google has been pushing a new vision of advertising in the mobile age: Advertisers, it says, must capture the “micro-moments” when peripatetic consumers land on an app, a video, a website or anywhere else. That’s increasingly important because despite today’s “mobile first” mantra among tech companies and publishers alike, the fact remains that people use all kinds of devices throughout the day to find what they’re looking for online–their phone, their tablet, a laptop, a desktop computer, even an Internet-connected TV. What’s more, these people are often open to commercial messages for only short periods of time in just the right context: the age-old right-place, right-time, right-message but faster and more fleeting than ever. And so Internet publishers and their advertisers need to reach not just faceless audiences but actual people, or at least detailed profiles attached semi-anonymously to real people. This “people-based marketing” is something Facebook has made huge coin on, and even companies such as Google are playing catch-up. 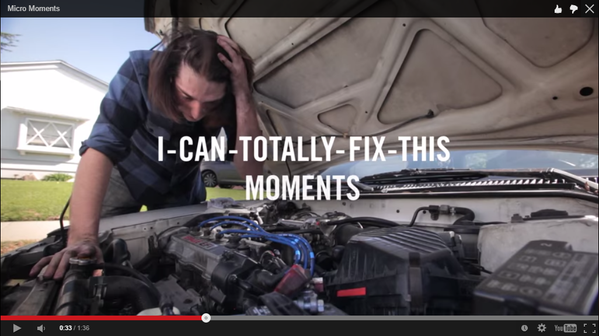 Read the rest of the story and interview with Google display and video ads VP Neal Mohan. Yahoo wants app developers to know it really, really likes them. But even if they return the affection, will that be enough to turn the company around? Today, at its Mobile Developer Conference in San Francisco, the Internet company rolled out a suite of new products and services aimed at helping mobile app developers make money. It’s the latest and most aggressive move in a two-year effort to prove that it has fully joined the mobile revolution. More than 1,000 mobile app developers gathered to hear how the still struggling Internet company plans to help them acquire, analyze and make money from users through advertising, app purchases, and other means. 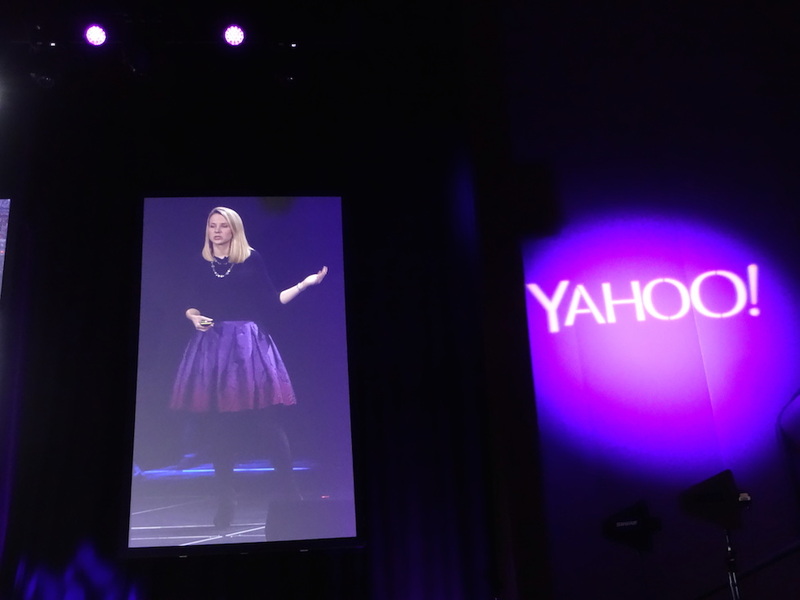 Yahoo billed the conference as the first annual, but it’s an outgrowth of an annual conference held for years the mobile analytics and ad network Flurry, which Yahoo bought last year. That was clear when Flurry CEO Simon Khalaf got somewhat more enthusiastic cheers from the audience than Mayer when he was introduced. Read more details in the full post. Nobody outside a few advertising partners has even seen Facebook’s coming video ads, but already the sky is falling. Critics are labeling the social network a “super troll” (whatever that means) for its plan to “blast” the “intrusive” ads into news feeds and predicting that the ads will annoy users so much that they’ll be driven away. * There won’t be all that many of them. Despite complaints about the increasing ad load, you can still scroll through many screens before you encounter more than an ad or two. You can bet that Facebook will be very careful about letting advertisers run too many of these things. Anyway, relatively few advertisers will be allowed to run them or, at $2 million for a day, afford them.